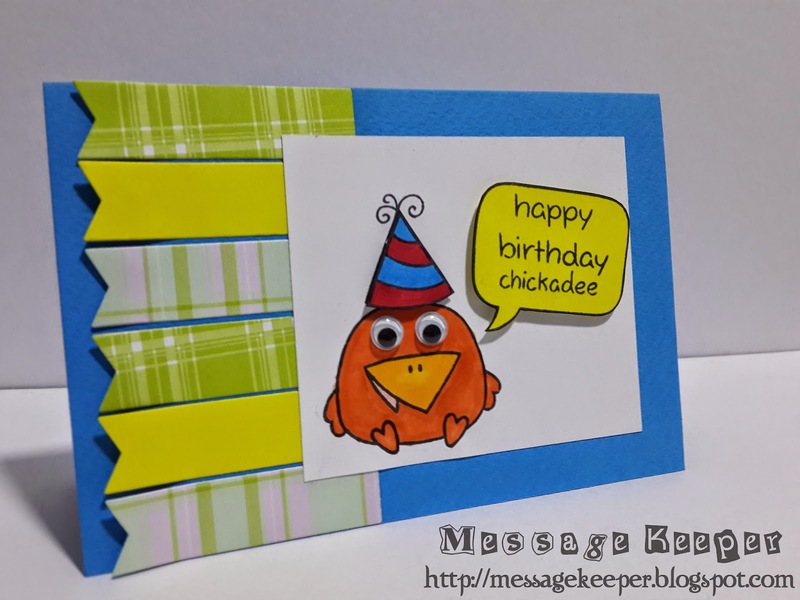 My winning card, Happy Birthday Chickadee! My Happy Birthday Chickadee! card is selected as Spotlight Artists at City Crafter Challenge for Week 209 - Speech Bubble Challenge! I made this card for my nephew second birthday. He seems to be my lucky star as my first winning card was also a card I made for him during his newborn! Even though I did not win any prize (only a "Spotlight Artists Award" badge), I am so glad that I was selected as one of the Spotlight Artists as there are so many other fabulous entries! A big thanks for City Crafter Challenge design team for picking me!